IN THIS WEEK’S BLOG POST, ATTORNEY MARK BRIGGS DISCUSSES HOW TO ENSURE THAT THE IMAGES YOU ARE FEATURING IN YOUR BLOG POSTS ARE BEING USED CORRECTLY FROM A LEGAL STANDPOINT. So as you are no doubt aware, considering you are reading this, I like to blog. And, as you also may have noticed, I enjoy adding pictures to my posts. All of the pictures used in this blog have been cleared for legal usage, and for good reason—a recent lawsuit related to the use of copyrighted images in a blog post cost The Content Factory $3,000, all because they absentmindedly used a protected image without permission. Copyright protection is not something to overlook, even when it comes to finding pictures for your blog. A copyright, as I detailed in a previous post, is a registration granted by the U.S. 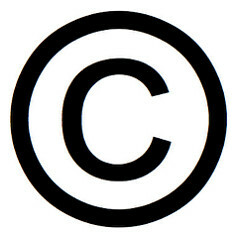 Copyright Office that “protects works of authorship, such as writings, music, and works of art that have been tangibly expressed.” It can also apply, notably, to a picture or image. A copyright allows its owner (or owners) to regulate how the associated work is reproduced and/or redistributed—in other words, if you don’t have their permission to use that work for your blog post, you may be liable for copyright infringement and even subsequent legal action. If you want to use images in your blog posts, there is a safe, easy way to go about it. There’s a great website called Creative Commons that I use to help find all of my blog pictures in a safe, responsible manner. Just go to their search page, check the boxes for images that you can “use for commercial purposes” and “modify, adapt, or build upon,” and then search on one of the five image-related options. Personally, I am a big fan of Flickr—its users tend to be very clear about how, and when, you can use individual pictures. Each image comes with an accompanying description of its copyright status, so you can be sure of whether or not (or how) you may use it legally. Do you run a blog? Does it feature pictures? How do you source your images? Have you ever run into trouble with copyright protection? Feel free to share your insights below.